USA Equestrian Trust (USAET), an affiliate of the United States Equestrian Federation, is asking non-profit equine organizations to submit grant applications from the USAET Grant Program. The deadline for applications is May 4, 2010. 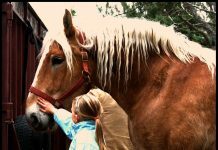 Past recipients of grants include those doing equine health research, equestrian land conservation, and educational programs. “While no public charity can make grants to every deserving group, USA Equestrian Trust encourages any non-profit in the equestrian community who needs assistance to consider completing the grant application,” commented Alan F. Balch, USAET President. 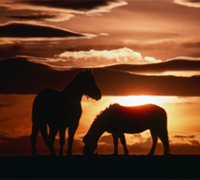 Its objects and purposes are exclusively charitable, educational and dedicated to the fostering of equestrian sports. The Trust is a Sustaining Affiliate of the United States Equestrian Federation (USEF) the National Governing Body for equestrian sport in the United States. 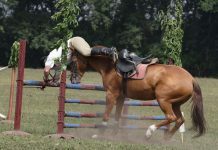 To learn more about USA Equestrian Trust and apply for the grant program, visit the website at www.trusthorses.org.